At Barefoot Physiotherapy we believe in treating each client equally, creating a service but also an experience that allows each client to get back to doing what they love – sooner! We understand how important your health is, and for this reason we only see a maximum of 4 clients in a row to ensure we are fresh & recharged for each appointment. General physios see a maximum of 9 x 30min clients a day and Seniors see a maximum of 7 x 30min clients a day. 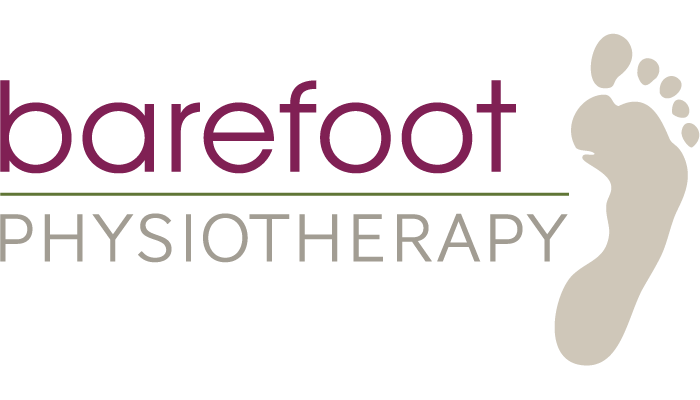 What you may not know about Barefoot is that when you come to our clinic you will have your own room with your physio’s undivided attention for the whole appointment. Each appointment allows for the full 30 mins or 60 min consultation ensuring you receive the care and treatment you need. Our physios have 2-4 hours of training per week consistently throughout the year within the clinic, to ensure an extremely high level of learning and care. All physios are provided with a professional development allowance and are encouraged to pursue external training. When a physio joins the Barefoot team they are trained fully in the Barefoot Physiotherapy Method which involves a 4 weeks intensive training prior to work with hands on experience and senior training. We offer Fully private rooms, hands on physio with you the entire time. Results focused – YOUR good result. You are taught about your body and educated about why your injury has occurred – you are also taught how to treat yourself. We work with your entire team (family/friends/trainer/coach/etc) to ensure you are fully taken care of. A 60-minute initial consultation is recommended for all new clients. This way we can complete a full assessment of your body, and test your nerves and movements so that we know exactly what’s going on. In this session we’ll get a sense of your pain points, daily life and your goals for the future. You can expect a full-body nerve assessment so we can start treating you in the areas that will impact you most to improve your life. We’ll also teach you optimal sleep and work-station set ups (individualised to you) so that you can reduce any built up strain in your body. Expect to get some homework too so that we can get you to your goals even quicker! While everyone is different we have observed the best care is often achieved with a 60min initial consult and a 30min follow up within a couple of days – from there each person is different. Be assured we do not treat unless we are achieving results. Fully trained in the Barefoot Physiotherapy method and continually treating clients at a high level. Regular professional development refining and enhancing skills of the Barefoot Physiotherapist. Fully trained in the Barefoot Physiotherapy method and continually treating clients at a high level. Regular professional development refining and enhancing the skills of the Barefoot Physiotherapist This higher level identifies experience within the Barefoot Physiotherapy clinic. Fully trained in the Barefoot Physiotherapy method and continually treating clients at a high level. Senior Physiotherapists see results achieved with a high number of clients within a shorter period of time as well as having more experience with complex presentations. High level of training and professional development refining and enhancing the skills of the Barefoot Physiotherapist. As a Senior Physiotherapist clinical time decreases due to ongoing training of General Physiotherapists, using case studies and other advanced professional development methods. Fully trained in the Barefoot Physiotherapy method and continually treating clients at a high level. Senior Physiotherapists see results achieved with a high number of clients within a shorter period of time as well as having more experience with complex presentations. High level of training and professional development refining and enhancing the skills of the Barefoot Physiotherapist. As a Senior Physiotherapist clinical time decreases due to ongoing training of General Physiotherapists, using case studies and other advanced professional development methods. Advancing to a Level 2 Senior Physiotherapist represents experience at Barefoot Physiotherapy. We have EFTPOS, Credit Card and HICAPS facilities available. We also offer payment plans where required. We believe that limited finances shouldn’t prevent you from receiving the optimal treatment and care that you deserve. Please contact us if this is something you may be interested in, or if you have any questions. To check your cover with your private health provider either call or check online and quote the below codes.